●The front foot has [adjustable screw], which can avoid the trouble of poor drainage caused by uneven terrain. 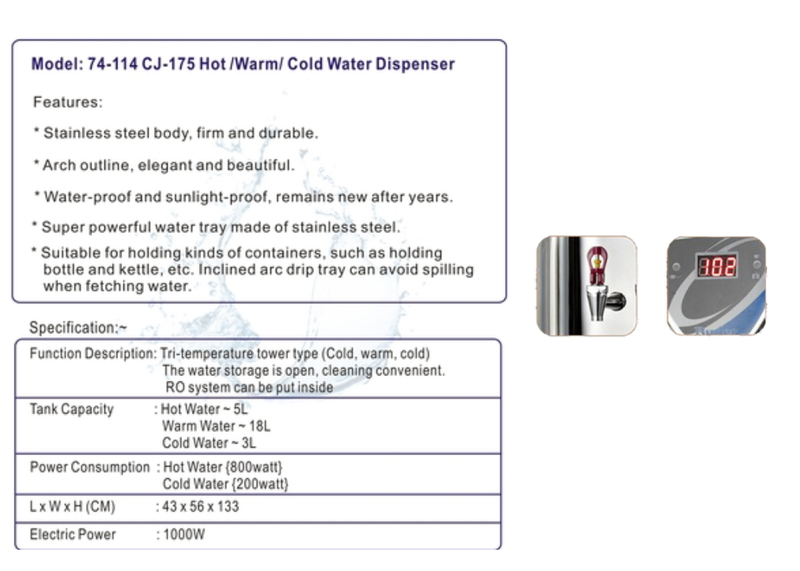 ●The hot bucket is made of stainless steel, which makes drinking water more secure. ●The pipeline adopts food grade heat-resistant silicone tube and stainless steel tube, which meets international standards.